So you’ve chosen that all-important wedding date. Now for the fun bit – which are the top honeymoon destinations in May? In the Mediterranean, most tour operators have started their summer flight programmes by the first week of May, but demand is thin, so prices are set low. Long days of warm sunshine are all but guaranteed, yet it’s rarely too hot to wander into town or do some sightseeing. With no crowds, this is the perfect time to head to the Med. May is also one of the best months to go long haul. Prices in the Caribbean plummet after the Easter holidays, yet the weather is all but perfect, with several months to go before the arrival of the hurricane season. There are also great options in the Indian Ocean, Africa and Asia. Or you could opt for a honeymoon in the UK. European cities are ideal in May. Florence has just the right mix of high culture and fabulous food – plus temperatures of 23ºC and 8 hours of daily sunshine. One of the best hotels is the five-star deluxe Helvetia e Bristol, and you can easily combine this with a stay in Rome and Siena. It’s a perfect time to be in Paris – the spring sunshine puts a smile on everybody’s face, but the peak summer crowds have yet to arrive. Choose from this selection of luxury hotels including the five-star Lancaster set in a former private residence just off the Champs-Elysées, and the charming Relais Christine tucked away on the Left Bank. 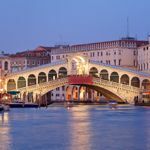 Few cities are more romantic and evocative than Venice and May is a great month to visit, before the summer crowds descend. 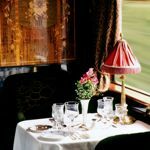 To make it extra special, you can travel by Orient-Express with an overnight stop in Switzerland. You’ll experience the beauty of the Alps and arrive in Venice next day to be whisked to your hotel by water taxi. Best hotels in Venice include the five-star deluxe Ca’ Sagrado overlooking the Grand Canal and the four-star Hotel Londra Palace near the Bridge of Sighs. Spain has some of the most appealing cities in Europe if you’re looking for romance and culture. I recommend heading to Andalucia and exploring Seville, Cordoba and Grenada. You can expect lots of warm sunshine – temperatures of 27ºC and 10 hours of sun in Seville – ideal for lounging at pavement cafes and dining al fresco. In my view, the best months to visit the Mediterranean are May, June, September and October. The main advantage of May is the weather – you can expect warm sunshine, low humidity and cool evenings – but you’ll also find the welcome is friendly as resort workers look forward to another summer season. In many places you’ll find hills carpeted with spring flowers. On the French island of Corsica you can’t miss the scented Maquis, at its best in May. There’s a great choice of hotels, villas and apartments including some one-bedroom villas with their own private pool – perfect for a honeymoon. Check out Casa Acciana, a stylish one-bedroom villa near Calvi. Best hotels include Hotel U Capu Bianca. The countryside of Mallorca (21ºC and 9 hours of sunshine) is another great destination. Far from the cheap-and-nasty packaged resorts, you’ll find secret coves, picturesque villages, rugged walking paths and well-appointed villas for two such as Ca’n Bennassar. Prices in May will be much lower than in the peak summer period. 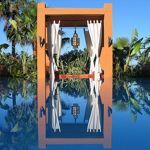 For somewhere really special on the Spanish mainland, I recommend the charming boutique DDG Retreat in the hills of Andalucia – less than an hour’s drive from Malaga airport but a million miles from the Costa del Sol. I’m a huge fan of Ibiza where you can easily escape the package hordes and discover a grown-up bohemian vibe, eating great food, swimming in hidden coves and enjoying spectacular sunsets. Stay at one of these lovely boutique hotels. The Greek Islands are particularly attractive in spring. Head to the stunning volcanic island of Santorini (22ºC and 10 hours of sunshine) for chic boutique hotels such as Grace Santorini or the cosy Hideaway Houses for two. If you like your own space and privacy, rent a villa for two in Greece. On the Greek mainland, Ikos Oceania and Ikos Olivia are sister resorts offering five-star all-inclusive honeymoons with a choice of a la carte restaurants, the option to dine out in selected local restaurants, a free mini-bar and 24-hour room service. See the latest offers. The Greek side of Cyprus gets hot in May, regularly getting above 26ºC. At this time of year – before high summer – you can still find some special offers at luxury hotels such as the Anassa and the Four Seasons in Limassol. The Dalmatian coast of Croatia offers sparkling turquoise seas, island escapes and superb food at sensible prices. Arrive by private water taxi at the glamorous Villa Vilina on the traffic-free island of Lopud, or check into Hotel Podstine which overlooks a sparkling bay near the hip town of Hvar. 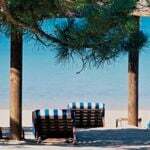 Discover more honeymoon ideas in Croatia plus these latest special offers. Expect 21ºC and 8 hours of sunshine in Dubrovnik. If you crave solitude, head to the Mandarin Boutique Hotel, a charming adults-only hideaway with just eight rooms set in the Turkish countryside near the resort of Fethiye (25ºC, 10 hours of sunshine). 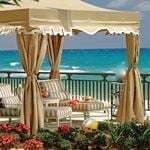 Rates are very affordable and each room has a four-poster bed and Jacuzzi. If you love all things Italian you could treat yourselves to a week on the island of Capri, perhaps combined with another week exploring the Amalfi coast. On Capri (21ºC, 8 hours of sunshine) you could stay at the glamorous Capri Palace Hotel & Spa. On the Amalfi coast, take a look at the contemporary Casa Angelina which has all-white rooms and its own private beach. Things will be warming up nicely on Sardinia (22ºC, 9 hours of sunshine) where you’ll find empty white sand beaches, clear turquoise seas and great hotels such as the sophisticated five-star Hotel Castello, the seafront Villa del Parco and the charming and friendly Hotel Relais Villa del Golfo. It’s a similar picture on the beautiful island of Sicily where smoking Mount Etna rises against a sparkling blue sea. The best hotels for honeymooners include Villa Angela, a hillside boutique hotel that has proved itself a low-key celeb magnet. There’s also a great range of self-catering villas. 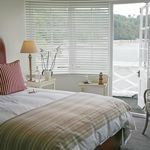 See the latest special offers. 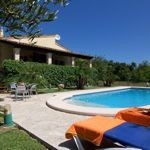 Further north, you could stay head to the rolling countryside of Tuscany where you’ll find some charming villas for two all with either a private or shared swimming pool. More active honeymooners might like to take the opportunity of slightly cooler weather to take a gentle private cycling tour in Italy. Find more honeymoon ideas in the Mediterranean. This is a superb time to head to the Caribbean. 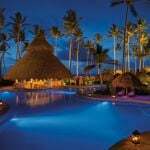 The islands are winding down after the high season, and hotel rates and airfares are great value. 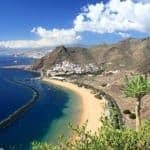 But the weather is still great with temperatures in the high 20s and perhaps the occasional short rain shower at night or in the late afternoon. You can also get married in the Caribbean with great deals including free wedding packages. Each of the islands has its own character and charms, so your choice should depend on what you’re looking for in a honeymoon – and your budget. If you’re trying to keep costs down, the Dominican Republic (30ºC and 8 hours of daily sunshine) is very competitive on price compared with elsewhere in the region, especially if you go all-inclusive, and the beaches are stunning. Head to St Kitts where you can zip-wire through the rainforest, visit historic sugar plantations and – in May – see leatherback turtles nesting. Stay at Ottley’s Plantation Inn or the stylish Belle Mont Farm. Anguilla is a perfectly flat coral island with miles of platinum-white beaches and some super stylish hotels including Cap Juluca, the Four Seasons and CuisinArt Golf Resort & Spa. If you want a luxury boutique all-inclusive, head to East Winds in St Lucia. If you really want to get away from it all, head to the British Virgin Islands where Sir Richard Branson’s Necker Island is a fabulous treat. It runs Celebration Weeks during selected weeks of the year, when you can book a room rather than renting the whole island. You can also explore the Caribbean on a Star Clippers cruise, setting sail on a magnificent tall ship. The vessels are small enough to feel intimate and stop at small ports inaccessible to big cruise ships. And what could be more romantic than a real sailing ship? 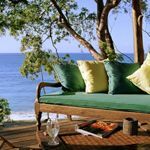 If you want a more conventional luxury hotel, I recommend this collection of 13 gorgeous small hotels and resorts in the Caribbean. 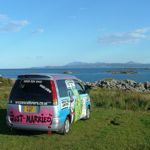 If you want a romantic, rustic and chic experience – and are looking for a honeymoon bargain – head to gorgeous Scotland where you can enjoy a five-night self-drive Luxury Scottish Honeymoon that includes stays at a five-star hotel in Edinburgh, a lodge on the shores of Loch Ness and a private island off the coast of Argyll. Plus, you can upgrade to a classic car. If you want a wild country retreat, head to Wales. This collection of romantic hideaways includes luxury yurts, cosy cottages for two and shepherd’s huts. 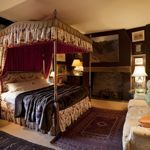 Top tips include The Dairy, an oak-beamed cottage in the Brecon Beacons. You can expect good weather in England’s southwest. Lucknam Park Hotel & Spa near Bath offers country house elegance. 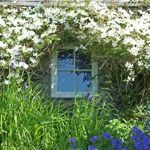 If you want a secluded self-catering hideaway try somewhere like Barnacles in Fowey, Cornwall – find more romantic cottages at Rural Retreats. May is a great month to explore California – it’s 23ºC with 9 hours of sunshine in Los Angeles. New York City is also wonderful in May and you can combine the Big Apple on a two-centre honeymoon with Las Vegas, Boston, Cancun or Barbados. Or head down to South America, where Peru is at its best – this is a wonderful time of year to combine beach, jungle and a trip to the ancient city of Machu Picchu. Try a 14-night Highlights of Peru private tour, or if you’re keen walkers, perhaps this Salkantay Trek. The can also combine the best of Peru & Bolivia. May is the perfect time to visit Japan. Temperatures in Tokyo will be mild (23ºC, 6 hours of sunshine), the gardens are in full bloom and the mountains are green. See this selection of honeymoons in Japan including an exciting and romantic private tour of natural hot springs, stays in Tokyo and Kyoto, nights in traditional ‘ryokan’ inns and travel on bullet trains. It’s also a good time to visit Vietnam where this classic two-week private tour is one of the most popular for honeymooners, ticking off Saigon (33ºC, 5 hours sunshine), Hoi An, Hanoi, Saigon, Halong Bay and the idyllic beaches of Con Dao. It’s also a good time to honeymoon in the Indian Ocean. 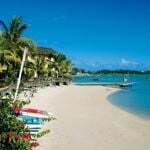 In Mauritius the humid summer months (December to April) have passed, but the winds of July and August are months away. Expect 27ºC and 7 hours of sunshine. Check into such gems as the recently re-opened Trou aux Biches. The Seychelles (29ºC, 8 hours of sunshine) are beautiful in May but prices are lower before the high season of July and August. Stay in a plush resort such as Raffles Praslin or really push the boat out with a stay at Denis Private Island. British Airways now fly direct to the Seychelles. It’s not such a great time in the Maldives but Mozambique (27ºC, 8 hours of sunshine) is a superb alternative. The remote silky white beaches are as beautiful as any in the world and you can combine it with sailing cruises on traditional dhows and wildlife safaris. Try this island hopping honeymoon. In Bali, May is the beginning of the dry season (30ºC, 10 hours of sunshine), so this spiritual island will be looking particularly lush after the rains. Here are some of the world’s most romantic hotels such as Bambu Indah, with antique houses set amongst rice paddies, and the laid-back luxury hideaway of Puri Ganesha. See more hotels in Bali. It’s the dry season in Namibia with temperatures of 23ºC and 10 hours of daily sunshine. Take a hot air balloon ride over the desert, see shipwrecks along the Skeleton Coast, climb the world’s tallest sand dunes and track the endangered Black Rhino. Namibia has superb lodges and tented camps, and good roads and safety make it ideal for a self-drive honeymoon. If you’d rather have your hands held, try this classic fly-in honeymoon. 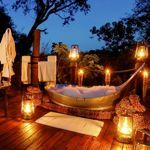 It’s also a perfect time to visit Zambia and Malawi for this chilled-out and exciting honeymoon package. It kicks off with three nights at Stanley Safari Lodge in Livingstone (28ºC and 10 hours of sunshine) where you’ll enjoy Victoria Falls and take trips on the Zambezi River, before heading to Luangwa River Camp where you’ll have ringside seats viewing elephant, buffalo, leopard, lion, giraffe and hippo. After all that excitement, wind down with four nights relaxing on the shores of Lake Malawi National Park at Pumulani. Madagascar is fast emerging as one of the most exciting honeymoon destinations, thanks to its unique wildlife and stunning white-sand beaches. You can expect 23ºC temperatures and 7 hours of daily sunshine. This 12-night Madagascar honeymoon features nature, rainforest, adventure and a bit of luxury. Another exciting destination for nature lovers is Australia. In May, the best regions to visit are South Australia and Queensland. In the former, you can explore the Barossa Valley on this Wildlife and Wine self-drive honeymoon. In Southern Queensland you can stay on a working cattle station and explore Noosa, Fraser Island and the Great Barrier Reef. If you want to experience total relaxation in a sublime natural setting, head to Ananda in the Himalayas which is set beside the Ganges River in the foothills of the world’s greatest mountain range. Built on a royal estate, it offers superb food and spa treatments, plus the option to try treks, nature walks and white water rafting. >> Visit our homepage for my full choice of 101 honeymoons or try my fun quiz to find the right destination for you.